The common name, chenille, means caterpillar in French. The fuzzy, pendulous inflorescence of the chenille plant range in color from vibrant red through a creamy white. 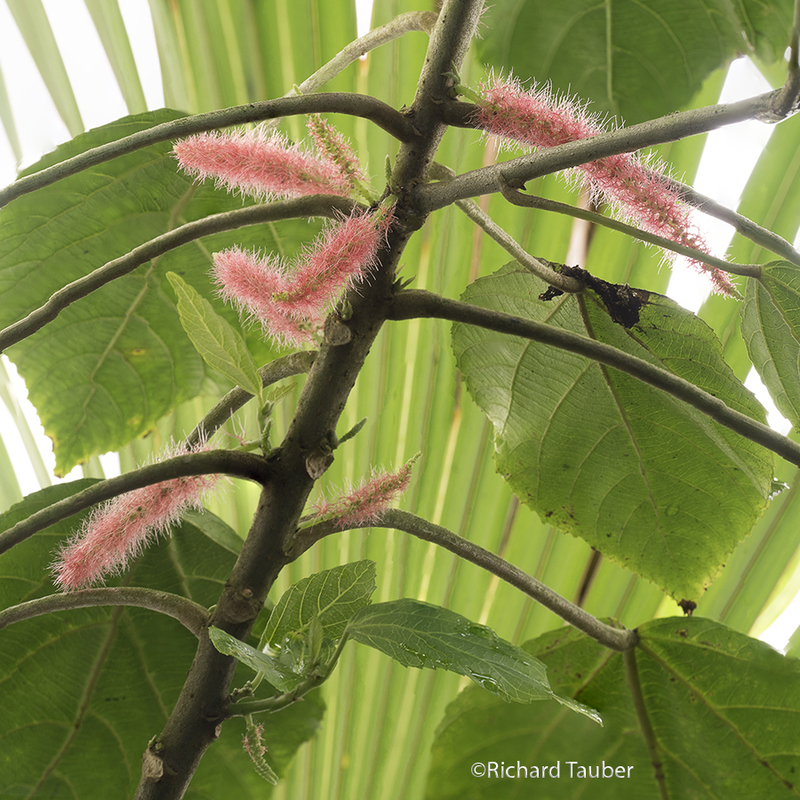 The chenille plant is dioecious, meaning the male (staminate) and female (pistillate) flowers are on separate plants. The individual flowers which make up the inflorescence are very tiny, have no petals, and are made up of feathery pistils. These pistils are tightly packed into cylindrical flower clusters along the raceme called catkins. 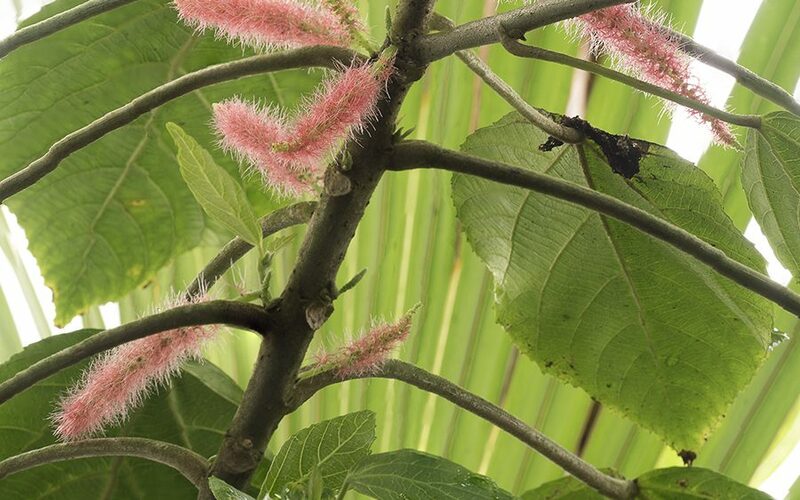 Flowers with catkins, including the chenille, are predominantly pollinated by the wind, and occasionally by insects.